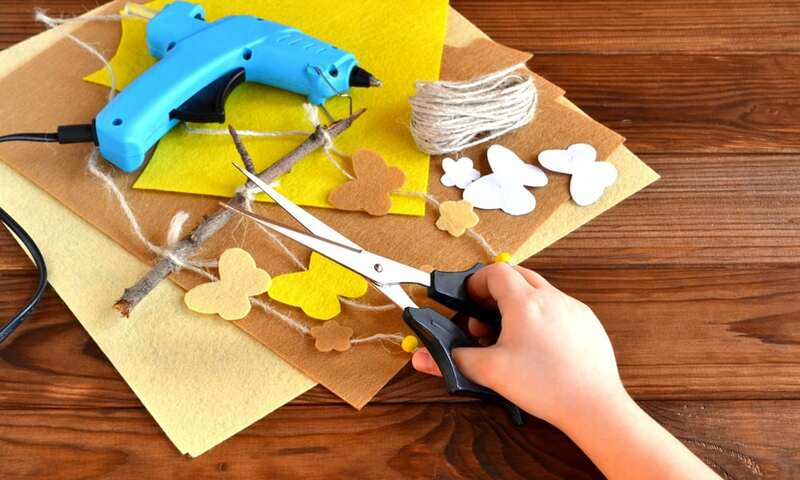 A hot glue gun is an indispensable tool for anyone interested in arts and crafts projects or performing DIY home repairs. It works quickly and delivers a flow of heated glue that’s capable of binding almost any object. Plus, unlike other binding devices, a glue gun can be used on anything including wood, fabric, stone, glass, metal, plastic, and foam. But there are a lot of brands out there claiming that their model is best. View the Best Hot Glue Gun, Below. How Many Watts is a Low Temp Glue Gun? How Long Does it Take for a Hot Glue Gun to Heat Up? What is the Use of a Hot Glue Gun? And with things like power, performance, size, temperature, and design to consider, deciding which glue gun is right for you can get a little tricky. Luckily, we’re here to make your life easier. In this article, we’re going to show you the top 10 hot glue guns on the market today. But first, we’re going to tell you a bit more about this versatile handheld tool and what you should look for when you decide to purchase one. A hot glue gun is a popular tool for arts and crafts, professional home improvement, and DIY projects. But with so many models out there, choosing the right one can be a bit confusing. Luckily, we did the leg work for you. We took a look at all the options out there and compared them based on their design, performance, durability, and reviews. Are you looking for: Best Grease Guns? In the end, we came up with our list of the top 10 hot glue guns of 2019. So, if you want a professional glue gun that’s right for your needs, keep reading. Whether you want a miniature, cordless glue gun, or industrial hot glue gun, this list will help you find the model that’s right for you. The CCbetter Mini Hot Melt Gun is a durable model made from plastic and aluminum. With a working power of 20 watts and a temperature of 356 to 392 degrees Fahrenheit, it is the perfect high temp model for any DIY project and heats up in 3-5 minutes. It’s easy to toggle the On/Off switch and the LED indicator light lets you know that the tool is heating up. It has a flexible support bracket so you can set it aside safely. The anti-hot cover ensures you don’t burn yourself and the high-quality nozzle can withstand heat so you don’t have to worry about wear and tear. Plus, it comes with 30 glue sticks and is backed by a lifetime warranty. The CCbetter Hot Glue Gun is one of the most popular models among DIY crafters. It’s well-made, reliable, and very affordable. The trigger propulsion device controls glue flow so you have more control and won’t waste glue sticks. Plus, it comes with a 100% money back guarantee and a lifetime warranty. See more information on CCbetter Mini Hot Melt Gun. The Surebonder PRO2-220 Industrial Glue Gun is a heavy-duty model offering 220 watts of heating power. Its stainless steel heater has an adjustable temperature control ranging from 220 to 420 degrees Fahrenheit. The lighted On/Off switch is easy to use and a glue stroke adjustment screw ensures just the right amount of glue is released. With a detachable wire stand, two nozzles with heat-resistant nozzle covers, and a double insulated grounded cord, it’s capable of handling hours on work per day. The Surebonder PRO2-220 is a premium model designed for professionals. It’s the most expensive model on our list but it was designed for heavy-duty use and can deliver up to 5 lbs of glue in an hour. Plus, the adjustable temperature feature is fantastic for individuals who work with a variety of materials. This makes it one of the best options around for anyone who needs a commercial or industrial-grade glue gun with a high work capacity and easy-to-use features. See more information on Surebonder PRO2-220 220. The Attican Mini Craft Gun is a mini hot glue gun that’s perfect for both hobbyists and professionals. The plastic construction is durable but lightweight enough for extended use. And the 20 watts of working power ensures that this model heats up to working temperatures in 3-5 minutes. The trigger is smooth and delivers a perfect, steady flow of glue. And it was designed with a wire stand so you can set the tool aside when you need to. Plus, it comes with 15 glue sticks so you can plug it in and get right to work. The Attican Glue Gun is one of the best budget models on the market today. This basic mini glue gun delivers a steady stream of hot glue, heats up quickly, and provides drip-free performance. It might lack some of the bells and whistles offered by some of the more expensive models on our list but it’s the perfect option for anyone looking for a reliable hot glue gun at an incredibly low price. See more information on Attican Mini Craft Gun. The Blusmart 54953 Hot Glue Gun is perfect for home, office, and commercial use. It offers 100 watts of power and heats up in 3 to 5 minutes. The On/Off power light lets you know when the power is turned on and the ergonomically-designed trigger is comfortable enough to use for extended periods of time. And it’s designed with a copper nozzle that is durable, easy-to-clean, and replaceable. The Blusmart Glue Gun is reliable and easy-to-use. It’s capable of tackling a variety of projects, making it perfect for hobbyists, DIYers, and professionals. Plus, it comes with 10 glue sticks and is incredibly affordable, proving you don’t need to spend a lot of money to get great results. See more information on Blusmart 54953. The 20-watt Surebonder H-195F Mini Glue Gun is designed with an extended tip that allows you to achieve highly-detailed work. For enhanced protection, it features a safety fuse, detachable wire stand, and side fins which allow you to lay it safely down on its side. And the ergonomic rubber handle and trigger offer a comfortable grip for reduced user fatigue. The Surebonder Mini Hot Glue Gun is one of the best options out there for anyone interested in a compact model at a very low price. It’s durable enough to handle heavy use and heats up in less than 5 minutes. Plus, it features dual-temperature control, allowing you to choose between high and low temperatures based on your application. See more information on Surebonder Mini Detailed Glue Gun. The Cobiz Glue Gun features an adjustable heating element that allows you to select 60 or 100 watts of power. And the ceramic PTC thermal heating system and copper tip ensures your tool is heated up in 1 to 3 minutes. 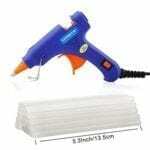 This full-size hot glue gun is comfortable to hold and features an ergonomic design. And the high-quality plastic design can withstand pressure, heavy use, and high temperatures, so you don’t have to worry about this glue gun deforming or breaking. The Cobiz Hot Glue Gun is a terrific option for arts and crafts, DIY projects, or commercial applications. It’s well-made and durable and the ability to fine-tune the performance of your tool by selecting the wattage is a great feature. It’s also comfortable to handle and is perfect for anyone who doesn’t like the feel of a mini glue gun. And, for the price, it’s one of the best values on the market today. See more information on Cobiz Gun Kit. The rapid-heating 60-watt Ragnaros Glue Gun is ready to use in 3 to 5 minutes. With a high-quality copper nozzle and smooth trigger propulsion, it’s perfect for precise applications. For safety, it’s designed with an On/Off light and a safety fuse. Plus, it comes with 30 glue sticks so you can get to work right out of the package. Whether you plan on using your glue gun for crafts or for quick repairs, the Ragnaros is a great, affordable option that’s perfect for anyone. It’s durable, heats up quickly, and even comes with 30 glue sticks to help you get started. At one of the lowest price points on the market, it’s easy to see why the Ragnaros Hot Glue Gun is one of the best values around. See more information on RAGNAROS Gun-RAG-01. Stanley is a household name when it comes to tools and the GR20AX Glue Gun is one of the best models in its class today. The Stanley Tools GR20AX is compact and heats up quickly. The smooth trigger feed mechanism controls the flow of glue for detailed and precise results. It’s durable and comfortable to grip, making it perfect for extended use. Plus, it comes with 12 glue sticks to get you started. The GR20AX is another example of Stanley’s superior tool line. 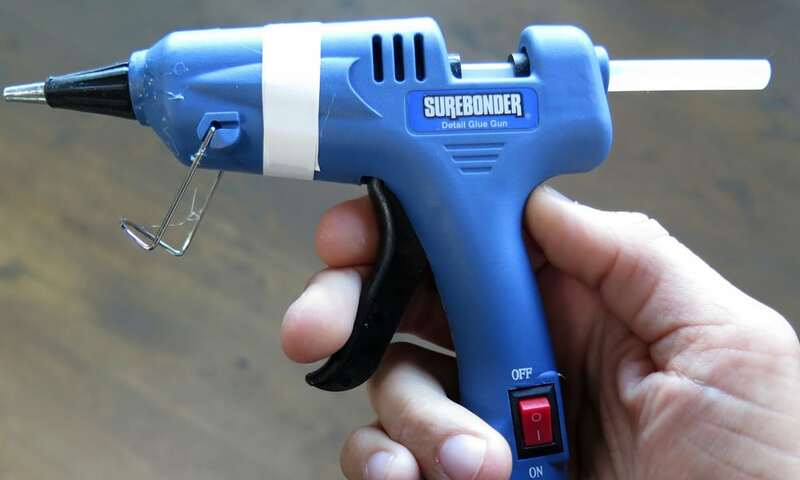 This glue gun is well-made and allows you to easily control the flow of glue so you can get into those hard-to-reach spaces without making a mess. It’s perfect for arts and crafts, DIY home improvement projects, and commercial use. And the flip-down stand helps you put the device safely aside when you’re not using it. See more information on Stanley Tools GR20AX. The Crenova Hot Glue Gun is perfect for any project such as bonding wood, glass, plastic, fabric, even electronics. It features a PTC heater component that allows it to heat up in 3-5 minutes. And the built-in fuse makes it great for anyone who wants a safer option. It comes backed by a 12-month warranty and even includes 50 glue sticks. The Crenova Hot Glue Gun Kit is one of the best options on the market. It’s a well-made, durable model that does its job very well. The 12-month warranty is great but chances are it’s going to last you much longer than that. It’s light enough to use for extended periods of time but still heats up quickly. And it’s also one of the most affordable options on our list, making it perfect for anyone looking to save a few dollars. See more information on Crenova 43237-2 Kit. The Black & Decker 20v Glue Gun is the best model out there for anyone looking for a premium cordless option. The 20-volt Max Lithium rechargeable battery provides up to 3 hours of life. An impressive 125-watt heater allows this gun to heat up in just 90 seconds so you never have to wait for your device to warm up. The 20V Cordless System from Black & Decker is one of the top hot glue guns on the market today. It’s more expensive than any of the other models featured in our review but it’s remarkably well-made and durable. It’s cordless so you can use it anywhere, making it perfect for home repair, arts and crafts, and large-scale commercial projects. Best of all, it offers a 90 second warm-up time so your glue gun is ready to go before you even pick up your workpiece. See more information on Black & Decker 20v Cordless System. Whether you’re into arts and crafts or are looking to do some home improvements, a hot melt glue gun is one of the best glue guns to buy. But with so many options out there, choosing the one that’s right for your needs can be confusing. The good news is that it’s easy to choose the perfect model, as long as you keep the following factors in mind. The first thing to consider is the working temperature of the glue gun. Low temperature models heat glue to 250 degrees Fahrenheit or less while high temp guns will operate at 300 degrees or higher. The main thing to think about here is what kind of materials you’ll be working with. While glue that’s heated to higher temperatures actually has a stronger bond, it can also damage delicate materials. That’s why low temp models are perfect for use with items such as ribbons, fabric, foam, and plastic. The lower temperature will prevent the glue from bleeding through or damaging the materials. On the other hand, a high temp melt glue gun is ideal for use on sturdier materials such as wood, stone, metal, and glass. While most hot glue guns will only offer a specific temperature level, some models are designed with adjustable temperature settings. These guns offer the best of both worlds and are perfect for anyone who is planning on working with a variety of different materials. The next thing to consider is the power of the professional hot glue gun. The wattage of these devices is important because it impacts the speed that the gun can heat up melt glue sticks. The higher the wattage, the faster your tool is ready to get to work. While most models are warmed up within 3 to 5 minutes, some higher wattage models can heat up in less than 90 seconds. Another thing to consider is the power source of hot melt glue guns. Most are powered by an electrical cord but some models run on rechargeable batteries. These cordless glue guns are great if you want to work on the road or don’t want to be limited by the reach of your power cord. Hot glue guns come in mini or full-sized models. A minigun is compact and lightweight. They’re also perfect for detailed work that requires the applying glue with precision. That’s why a lot of craftsmen who make intricate items like jewelry tend to use a mini glue gun. Full-size glue guns are larger but deliver higher volumes of glue. They might lose out when it comes to precision but they more than make up for it when you have a lot of work that needs to get done. These guns are ideal for applications such as making large decorations and home repairs. If you are going to be using your glue gun to work with a variety of materials, then you might need multiple tips. Large tips are great for a project that needs a lot of glue while smaller tips are perfect for detailed work. If you’re only using your new glue gun for a particular kind of application, then simply choose the model that’s right for your needs. But if you want flexibility, look for a glue gun with interchangeable tips. Low temp glue guns are perfect for working with delicate materials. The heating element of these devices heats glue to around 250 degrees Fahrenheit or less. While individual designs might vary, most reliable low temp glue guns will run on 10 to 20 watts of power. How fast a hot glue gun heats up depends on its power. Models with higher wattages will heat up more quickly than models with lower wattages. On average, a high-quality professional hot glue gun will heat up within 3 to 5 minutes while some premium options will be ready to use in less than 90 seconds. A hot glue gun allows you to apply a melted adhesive to practically any material such as wood, fabric, cloth, wood, glass, metal, and more. While they are most commonly associated with arts and crafts—and artificial flower arrangement in particular—there are countless ways that these invaluable tools can be used. Glue guns can be used to repair shoes or clothing items such as missing buttons. They can be used for craft projects such as making jewelry or scrapbooking. They’re great for attaching decorations to windows or walls and even making embossed patterns on cards or ornaments. You can even use them to make molds or resize a ring temporarily. Thanks to the ability to push heated glue and bond any materials together, the number of uses you can find for hot glue guns is virtually limitless. Whether you are working with fabric, wood, metal, or plastic, there’s hot melt glue guns that are perfect for your needs. These compact handheld devices allow you to tackle numerous craft projects and household repairs in seconds. When looking for a hot glue gun, focus on the types of materials you’ll be working with and whether you are planning on doing detailed work or need a model that pushes a large volume of glue. By focusing on these factors, you’ll be able to find the perfect model for your needs. 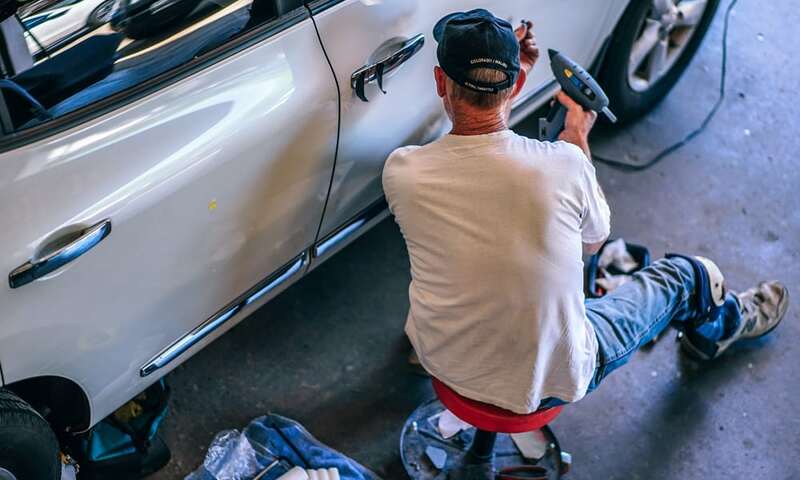 If you want expert results, you need to be patient and allow your professional glue gun to fully warm up. The hotter your glue is, the smoother it can be applied and the better it will work. Read more on how to use a glue gun effectively. When choosing between using a low or high temperature glue gun, it’s important to consider what kind of material you’ll be working with. Low temp glue is best for delicate materials that can be damaged by high heat such as fabric, ribbons, Styrofoam, or craft foam. While high temp glue is more durable and is perfect for hard objects like glass, wood, metal, and stone. We hope you enjoyed our article on "The 10 Best Hot Glue Guns", if so, please share and rate it.